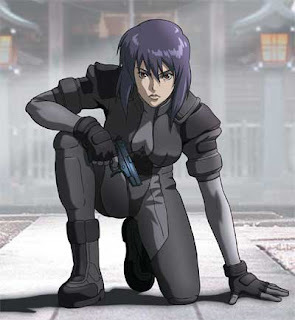 Ghost in the Shell is one of my favorite anime series. I have always been impressed with the awesome futuristic and complex sociological themes present in its plot, but what intrigues me the most is how the "fiction" in science fiction is becoming less fiction and more real. Remember when helicopters and submarines used to be considered science fiction? Okay, so you weren't born hundreds of years ago—but after seeing a robot controlled by a rat brain, I think we may very well see cyborgs in our lifetime. This past year, scientists in the UK have successfully created a machine controlled completely with biological material—from the brain of a rat. The "brain" of this robot is comprised of some 300,000 neurons collected from rat fetuses, which are stimulated to establish connections to each other in a sterile petri dish, similar to the way the neurons in our brain makes connections as we develop and learn. The brain connected to a computer was then used to wirelessly control a robot. As a result, this robot is able to avoid objects and learn from outside stimuli. That technology is very fascinating, at chicago NMH we have similar devices to help us detect and categorize movement disorders during brain surgery. Just the other day I used a robot surgical device, and you know how good I am at video games, so I believe that in time I could be doing a surgery from my mind. I think Mr. Shirow would be happy technology is advancing, but I have a feeling we will take a more genetic than mechanical evolution in the ultimate perfection of our species. But if we are lucky, perhaps those two technologies will mix. BTW I just finished downloading GIST in english dub, its a good thing you never let me buy those DVD box sets way back in the day. The technology is fascinating indeed. Thanks for sharing!